Inspired by the likes of Susie, Rumi, Karla et al, and as an aspiring fashion and lifestyle writer, I have finally decided that it is time to start my very own blog. My aim? I wish to photograph and write about every single item in my wardrobe, depicted above. As you can see, it is bursting at the moment – good enough reason to fight my non-diagnosed shopping addiction and to make the best of what I’ve got. 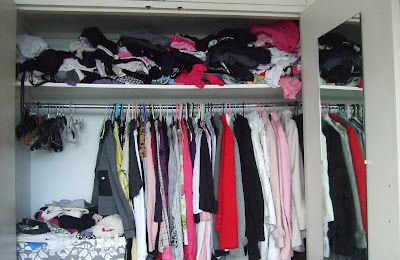 As well as creating a very self-indulgent and one-minded space, I am also hoping that this will help me in a not so distant future, when I pluck up the courage to do a much needed wardrobe spring-clean.